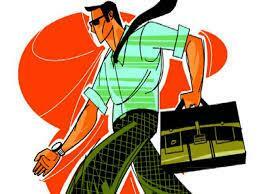 Online e-commerce market place ShopClues is looking to hire 1500 employees by the end of this year. The company has 1000 employees, plans to add 1500 more employees to its payroll. The new hires will be across various roles in products and technology, categories and management, operations and more. ShopClues recruits from top institutes like the IIMs, SP Jain Institute of Management and Research, Faculty of Management Studies, and Management Development Institute for MBA-level talent, and from the IITs and NITs, as well as smaller engineering schools. ShopClues co-founder stated that ShopClues is focused on growth and profitability...We are looking at hiring at least 100-150 freshers from engineering colleges and B-schools, but the majority of our hiring will take place at the lateral level.